… in the house this morning, so Brian took action and mixed up some of his favourite Toast dough and I threw it into the tins and now it is cooling. In the meantime I am building a stiff levain to start on the Pain au Levains breads for Mellow Bakers for April by converting my 100% starter to one with a 60% hydration. So 10 grams of the original starter plus 24 grams water and 40 grams flour. That’s about as close as I’ll get without ‘A’ level maths. Tonight I will mix the starters proper for the recipe. 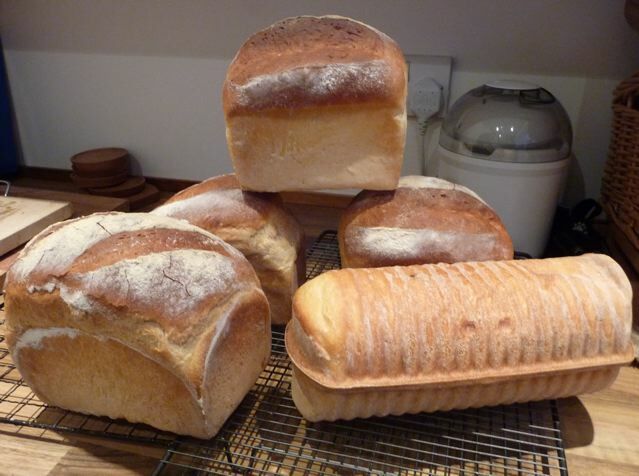 If you click on the link above you will see Geraint’s beauteous breads, he’s set the benchmark pretty high with those. Looking forward to seeing how they turn out. 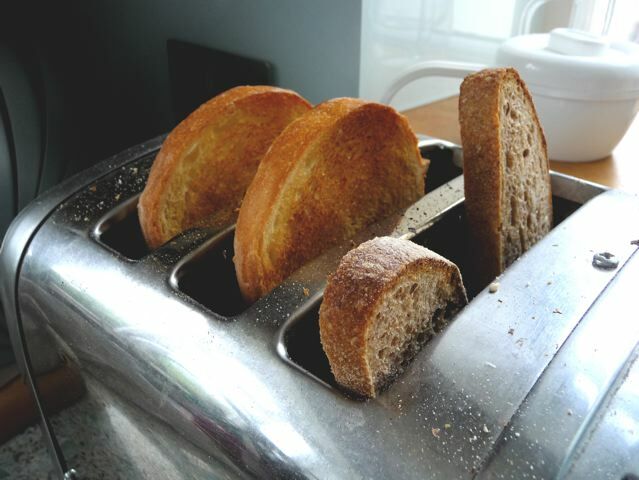 But for now – thank heavens for toast! This entry was posted in Bread, Mellow Bakers and tagged Geraint, Mellow Bakers, pain au levain, toast on 07/04/2011 by Joanna. Brian baked some bread this week. 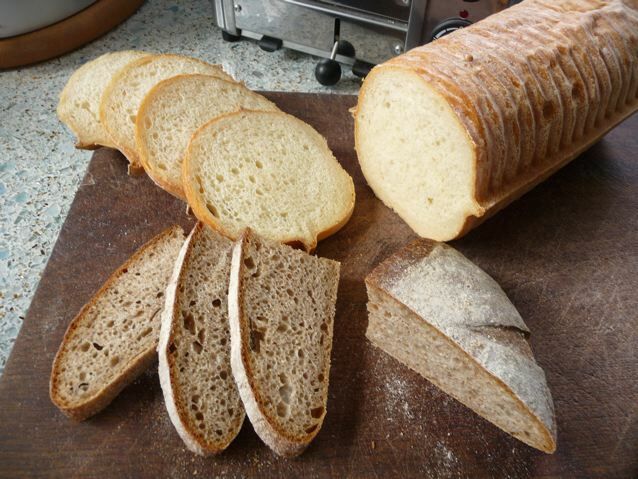 He selected this recipe of Dan Lepard’s which has the beguiling title of ‘Easy White Bread’. It made fantastic crunchy toast, topped with home made blackberry and apple jelly and Seville marmalade; plus the bonus of the first morning sunshine in two weeks. I could eat toast like this every day for a month. Who needs anything else? Edit : Maybe a trip to the Marmalade Festival…. This entry was posted in Bread, Preserves and Cordials, Pure Joy and tagged blackberry jam, Dan Lepard, easy white bread, seville marmalade, toast on 10/01/2011 by Joanna.